More Durability and a Higher Melting Point compared to Platinum, better center electrode anti-oxidation and anti-erosion, improved ignition, superior anti-fouling, lower required voltage, new metal shell plating process for better anti-corrosion. 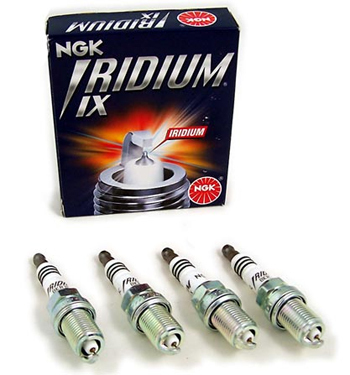 The NGK spark plugs made the feeling of smoother than I can imagine and plus the power. My car got stronger and more fuel efficient. I decided to use these spark plugs because they are OEM. I have 60k miles and was getting 27mpg now with new spark plugs I am getting 30mpg.